Remove Your Online Criminal Record from the Leading Private Databases and Online Websites the Sell Your Information for Background Checks. Is Removing Your Criminal Record worth $50.00 a month from 20 million searches a month? Our firm has specially developed this service for the vast majority of individuals who have criminal convictions and do not qualify for the strict requirements needed to expunction or seal these records. Typically, these individuals had no options and were just left to deal with the negative impact of the criminal record even though, oftentimes it was old or for something very minor. Good news now you can remove criminal record from the leading private databases and websites that sell your information. We Erase Your Criminal Record from the Leading Databases and Online Websites Selling Your Information. We developed a service that focuses on the removal of the criminal record from the private databases themselves instead of the public record that is removed in an expunction or non-disclosure. This is where most companies and individuals get their background check information and if we are able to make that information less available then your record will have less of an impact on your future. Do You Have a Criminal Conviction Holding You Back the Can’t be Expunged? Do you not volunteer because you are scared to have your background checked? If your past still haunts you, then we are here to help you put your past where it belongs, in the past. 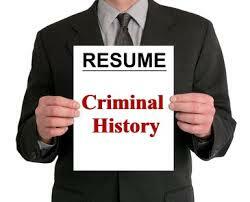 Over the last 15 years our firm has dedicated itself to helping individuals like yourself hide their criminal record. Over 10,000 Records Cleared and 1,500 Background Checks Passed. Six-Month No-Post Guarantee – If you find your information re-posted within six months of the completion of our service, then we will remove it free of charge. 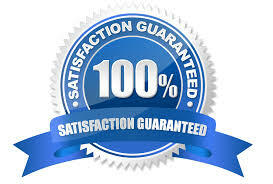 Money Back – Data Back Guarantee – If at the completion of our service, you are not satisfied, then just let us know and we will refund you the fee and we will withdraw our removal submissions returning you to your original status. Provide you a detailed final report about our results. ONLY $50.00 a Month – Cancel at any time. There is also an Initial One Time Setup Fee Required of $500.00.